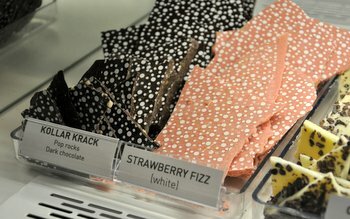 Brown Betty Dessert Boutique is a bakery in Philadelphia that has been baking up classic American desserts for loyal fans since it first opened, back in 2004. The bakery is a family-run affair and started with a bunch of much-loved family recipes that Grandma Betty – the namesake of the bakery – made for her family for years. The Brown Betty Cookbook is the first cookbook from this lovely little shop and contains many of the recipes that are favorites at the shop. 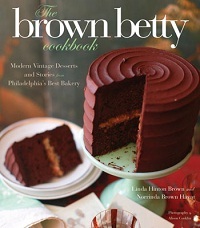 The book focuses on classic desserts, like layer cakes, cupcakes, pies and cookies. The focus of the book is definitely on the cakes, frostings and fillings. The recipes have a honey feel to them. For instance, the pound cake recipe that started it all and became the base for dozens of other recipes is simply called “Plain Cake” – likely because that is how Grandma Betty described it over the years. They’re also written very clearly and are easy to follow. Although many of the recipes are classics, like Red Velvet and Chocolate Sour Cream, there are also flavors that are very modern and keep the recipes current. 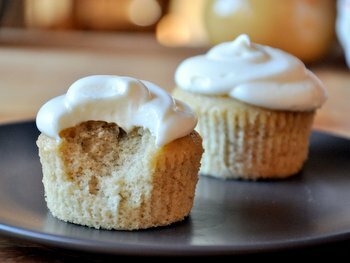 One example is for the Tea Buttercream, which shows you how to infuse teas – green, chai or earl grey – into a buttercream frosting for a flavor twist that you can put on any cake. This cookbook has a tremendous amount of personality from the women behind it. Family pictures and family stories fill the pages between the recipes, and it really gives you a sense of where these recipes came from – and makes them sound so good that you’ll want to bring that tradition into your own home. Of course, if you live in Philadelphia it might just be easier to run down to the bakery and pick up a cake, but using the recipes in this book will allow you to make them yourself and share them easily with your own family.